“We will not weaken environmental protections when we leave the EU,” said Environment Secretary Michael Gove in 2018, as the government promised the first Environment Bill in over 20 years. This was the Bill to prove a Green Brexit was what we are headed for, and to get those of us who have been speculating otherwise to pipe down. Finally, Gove managed to get out a draft Bill (or part of one) a few days before Christmas. These draft clauses on environmental principles and governance cover England and non devolved matters in the rest of the UK. They will be included in a broader Environment Bill to be set out in 2019 and include measures on air quality, nature conservation and waste and resource management. Core elements of this recent draft include guiding environmental principles, such as “polluter pays” and a 25 Year Environment Plan. It also introduces a much anticipated new watchdog: the Office for Environmental Protection (OEP) to hold government and public bodies to account on environmental standards, investigate complaints, as well as take legal action to enforce the implementation of environmental law on things like air quality. It will replace the oversight of the European Commission once we leave the EU. The functions of the European Union can be useful tools in enforcing environmental protections. 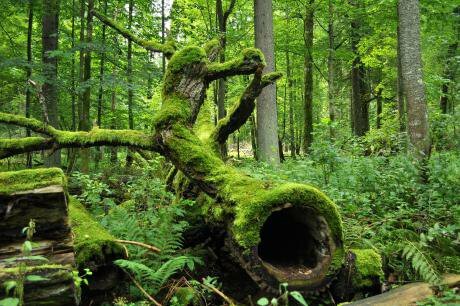 One high profile example in 2018 came from Bialowieza Forest, the last remaining primeval forest in the lowland Europe, covering a vast area across Poland and Belarus. After the Polish government dramatically increased the amount of the forest that could be chopped down, the European Court of Justice (ECJ) ruled in April 2018 that this change violated EU law and that the Polish Environment Minister must quickly reverse this decision or risk a fine of €4.3 million to the government. The ECJ has also been used to challenge the UK government, including in 2018 when, along with France, Germany, Hungary and Italy, it was referred to the court for failure to address illegal levels of air pollution under EU law. While the ECJ and the European Commission have far from solved our environmental problems, there is concern that we will loose even this level of accountability after Brexit. Can the new OEP give the environment the same or better protection? So far, although many environmentalists have cautiously welcomed the draft Environment Bill, there is a strong feeling that it needs to go further. “EU rules and institutions have enhanced our environmental protection for decades. But with government plans to replace them with legislation that’s riddled with loopholes and undermined by vague aspirations, it’s clear that our natural world is now far from safe,” said Friends of the Earth’s chief executive Craig Bennett. The proposed OEP’s independence, or lack of it, has been one of the biggest areas of contention around the Bill, as it would have its board appointed and budget set by the environment secretary, and not report directly to parliament. Tom West, UK environment law and policy advisor for environmental lawyers ClientEarth who were involved in the ECJ Bialowieza Forest case, said there was “still a long way to go before the new watchdog has the strong legal teeth needed to protect our environment. One of the reasons the proposed watchdog has been criticised for being too weak is that, unlike the European Commission, there is no mention of the OEP having powers to levy fines on public bodies that fail to comply with the new watchdog’s decision notices. “Much more is needed if it is to bear any comparison to the environmental enforcement powers currently held by the European Commission and Court,” said a statement from Wildlife Trusts. “To do this the watchdog would need to be more independent and able to hold the whole Government to account, including through having powers to issue fines if the Government fails to implement environmental legislation properly. Michael Gove said the government would “explore options” for setting targets, but strong legally binding targets are missing and, as pointed out by David Abrahams, Lawyer at Friends of the Earth, there will be no legal requirement on public bodies to comply with the decisions of the OEP. Amy Mount of the Greener UK coalition said there was a "sense of ambition" in the draft, but warned that without more work, environmental protection will be weaker. “...without establishing strong legally binding targets for things such as water quality, how can we properly hold the government to account on leaving our environment in a healthier state?" The Bill will be under scrutiny in parliament with oral evidence beginning on 30 January 2019 and written evidence. At the moment, up to 80 per cent of the UK’s current environmental regulation derives from the European Union. Greener UK, a coalition of 14 environmental organisations, have created a Risk Tracker to show which environmental policy areas are at risk in relation to Brexit. The most recent instalment, covering August to November 2018, categorised air pollution as a high risk area, with the seven other areas monitored all designated medium risk. Nothing was categorised as at low risk. Post Brexit we need the ways we can hold power to account, and protect the environment, to be stronger and more accessible. I’m not ready to pipe down just yet.